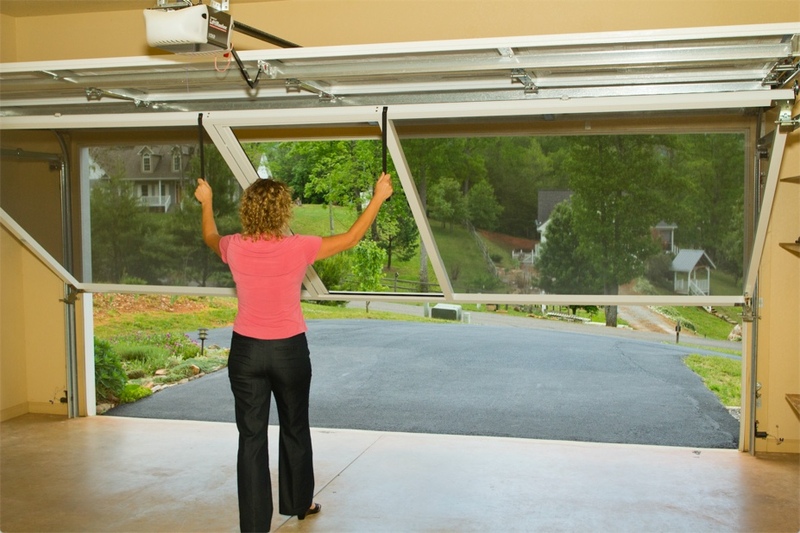 Affordable Garage Door is proud to offer Lifestyle Garage Screens to the Northwest Indiana area. We offer a complete selection of Lifestyle Garage Screens, known as the most versatile garage screen available. Lifestyle screens are affordable and designed for ease of use as well as long-lasting performance. Enjoy the outdoors with a garage door Screen by Lifestyle. Lifestyle garage screens have become an extremely popular addition to many homes because they provide an innovative way to make use of the extra space that the garage provides. Lifestyle garage screens use a fully retractable, spring-loaded system that works in conjunction with an existing garage door. With the addition of a Lifestyle garage screen, any garage can be transformed into an airy, pest-free space for living, working and entertaining. The system is designed for low maintenance operation and engineered to easily retract when you are ready to close your garage door. There are a wide variety of Lifestyle garage screen options to choose from. Affordable Garage Door Inc. offers a wide range of sizes, frame colors, and screen fabrics that will create the perfect complement to your home and garage. We also offer custom sizes so that any homeowner can enjoy the benefits of a Lifestyle garage door screen. Why Should You Choose a Lifestyle Garage Door Screen for your Northwest Indiana Home? While there are other garage screens on the market, none compare to the durability and functionality of Lifestyle. To learn more about how a Lifestyle Screen can enhance your home, contact us today!